Ideal for hair with a tendency to fall. 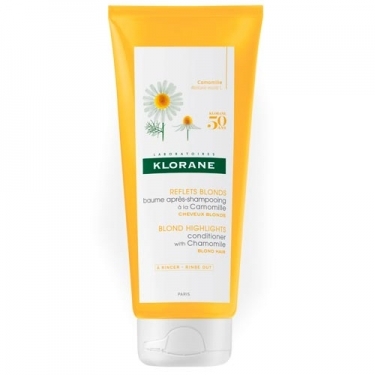 DESCRIPTION: Baume Après-Shampooing à la Camomille from Klorane is a balm that thanks to its unctuous texture and flux, instantly repairs, illuminates and untangles blond hair. The hair is naturally full of light and back to being shiny, soft and silky. 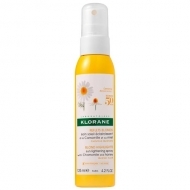 It is intended for natural blond and brown hair, and to dyed or highlighted hair, that is dry and damaged. 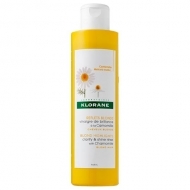 This balm is rich in repair agents and makes the hair silky and shiny. Dermatologically tested.